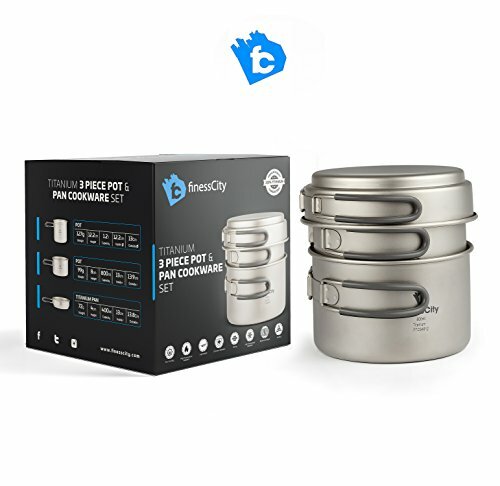 If you are of the opinion bigger is better, then you will appreciate this 1.4 Liter Titanium Cookset. 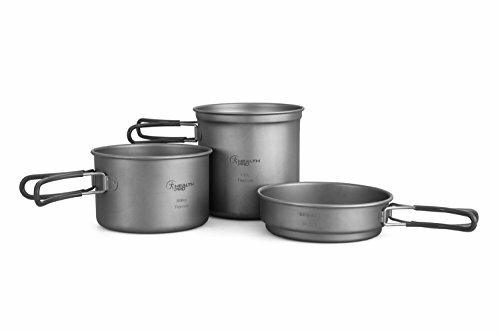 The Trek1400 represents our largest single piece of cookware that stackable with Trek 900 and 700. Article №: Keith Ti6016 ● FUNCTIONALLY SIMPLE AND ELEGANT --- Much of our design inspiration comes directly from outdoor adventurers and travelers. We seek out innovative solutions for their needs with the belief that less is more and that simplicity yields elegance. ● STRAIGHTFORWARDLY VERSATILE AND MULTI-PURPOSE --- We design our products to be used in ways expected and unexpected to save weight and space when every ounce counts. ● ENVIRONMENTALLY FRIENDLY AND HEALTHY --- We strive to minimize environmental footprint and to improve human health. We stand behind our products with a lifetime warranty. Titanium is by far the most durable metal and does not cause chemical pollutions. It is non-toxic and compatible with human body. ● INDEPENDENT MOLD DESIGN, DEVELOPMENT AND MANUFACTURING --- Twenty years molding experience in hardware, ten years in titanium, both together lay the foundation for exceptional utility and elegance of our titanium products. The new and improved Titanium Mini Solo is bigger and badder. 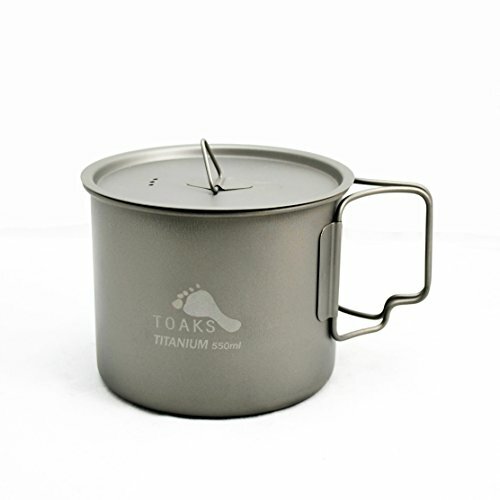 With a complimenting cup that can hold almost twice the volume of the original Mini Solo, a more streamlined handle design, a slightly larger pot, and a new silicone tab that can be grabbed without a hot pad. 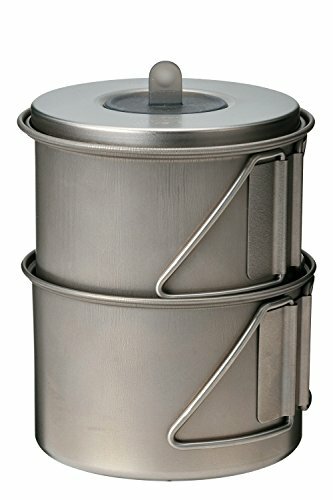 As with our previous Mini Solo, the pot is designed to hold two 110-g fuel canisters or a Giga Power stove and a 110-g fuel canister. Article №: Keith Ti6014 ● FUNCTIONALLY SIMPLE AND ELEGANT --- Much of our design inspiration comes directly from outdoor adventurers and travelers. We seek out innovative solutions for their needs with the belief that less is more and that simplicity yields elegance. 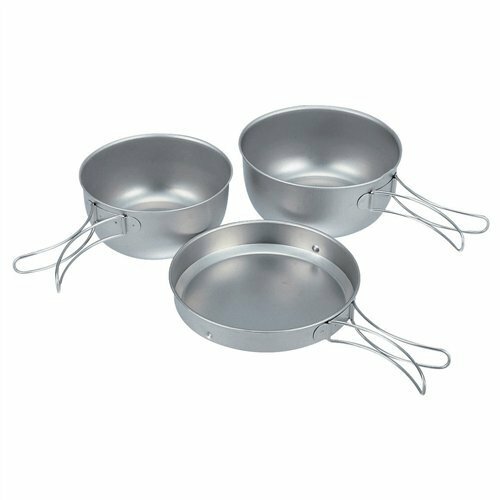 ● STRAIGHTFORWARDLY VERSATILE AND MULTI-PURPOSE --- We design our products to be used in ways expected and unexpected to save weight and space when every ounce counts. ● ENVIRONMENTALLY FRIENDLY AND HEALTHY --- We strive to minimize environmental footprint and to improve human health. We stand behind our products with a lifetime warranty. 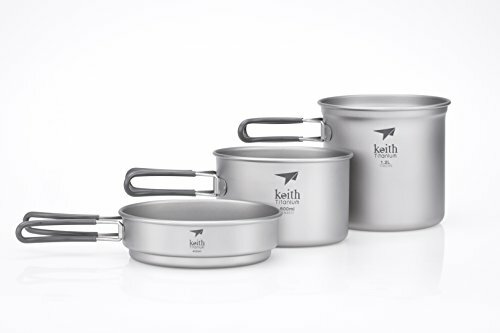 Titanium is by far the most durable metal and does not cause chemical pollutions. It is non-toxic and compatible with human body. ● INDEPENDENT MOLD DESIGN, DEVELOPMENT AND MANUFACTURING --- Twenty years molding experience in hardware, ten years in titanium, both together lay the foundation for exceptional utility and elegance of our titanium products. Ultralight titanium is corrosion-resistant and lasts for years. Rounded bottom edges make cleaning easy and improves heating efficiency. Handles fold away for compact storage. Titanium leaves no metallic smell or taste. 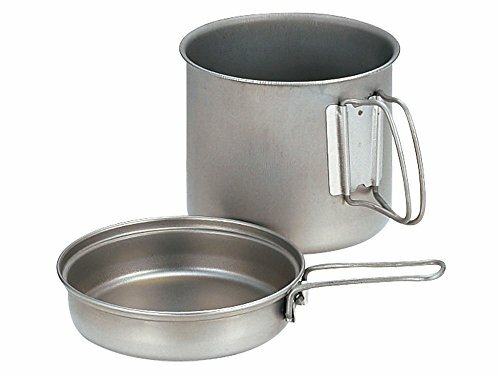 The 1" deep pan doubles as a lid or a sauce pan. 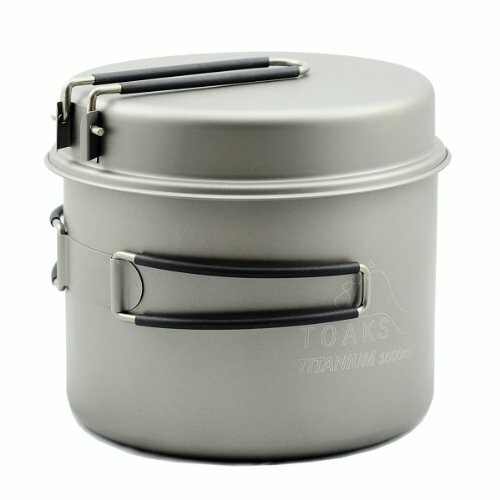 Looking for more Titanium Cookset similar ideas? Try to explore these searches: Range Conductivity Meter, Shingle Apparel, and Buick Roadmaster Shock Absorber. 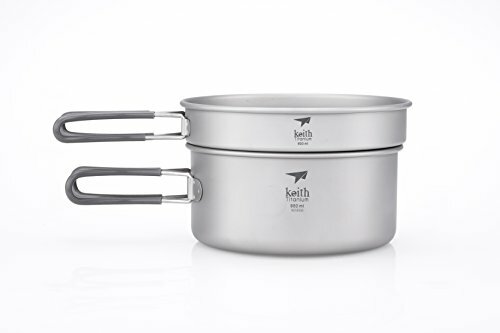 My take on the Health Pro Innovations Titanium 3 piece cook set!